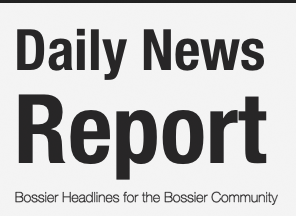 The Bossier Parish Community men’s basketball team picked up a pair of home victories against junior varsity opponents Monday and Tuesday nights. The Cavs rolled to a 103-75 victory over the Central Baptist College JV Monday night and knocked off the Northwestern State JV 89-71 Tueday night. Puhovs hit seven of BPCC’s 13 3-pointers. Ty’Rell Winn, a 6-3 freshman from Saline, added 13 points. D’Larious Venzant, a 6-5 sophomore from Alexandria, had 10. Former Bossier High standouts Lyndale and Londale James scored six each. Johnson scored 23 points and Puhovs 22 in the victory over the NSU JV. Former Bossier star Lyndale James had a double-double with 17 points and 13 rebounds. Wilbert Thomas and Ty’Rell win scored 10 each. BPCC (3-2) will host the BPCC Classic Friday and Saturday. The Cavs face McClennan Community College Friday at 8 p.m., and Cedar Valley College Saturday at 6.